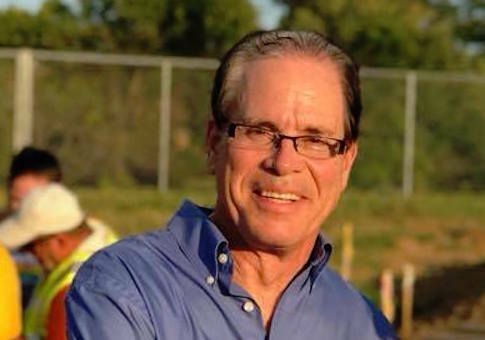 Republican Mike Braun says the momentum is on his side in his effort to unseat Sen. Joe Donnelly (D., Ind. ), who has scrambled to distance himself from his party in the race's closing weeks. Braun, an Indiana businessman who has spent the last few years in the state legislature, was lagging behind his incumbent opponent for much of the summer but has now pulled ahead in recent polls. Braun says he knew his numbers would grow as the race progressed toward Election Day, a confidence based on his experience in the Republican primary. "We started about as low as you can in the primary, I think I started off with 2 percent of the vote," Braun said in an interview with the Free Beacon. "I ended up with 41 percent, against two strong conservative congressmen." "I feel good about where we are," he said. "We've been building name recognition and getting our message out, and that momentum is going to carry forward." Braun says he started to feel the momentum right after Donnelly announced he would be voting against confirming Brett Kavanaugh. "We could track it from the moment Donnelly said he was going to vote against Kavanaugh, small contributions increased at a rate of three to four times what they were before," he said. Braun's campaign announced on Thursday that the increased pace of contributions resulted in $1.27 million worth of contributions in October. But Braun says "everything started to pick up," pointing to drastic increases in his crowd sizes at events and online engagement from voters. The race increasingly appears to be playing out on Republican terms. Donnelly's recent ads have featured him attacking "socialists" and the "radical left" as he quoted Ronald Reagan, or chopping wood with a Mexican ax to brag about how he is willing to "split" with his party. Braun thinks it's because Donnelly is learning that attacking him on health care, the most successful attack Democrats across the country have had, doesn't really work. Braun happens to be an expert on health care reform, bringing down costs at his own company before Obamacare even became law. "I started 10 years ago on doing something in my own company that was sustainable, affordable, covered preexisting conditions, and had no cap on coverage—this was before Obamacare even came along," Braun explained. "They try to say that because I'm against Obamacare, I'm against covering preexisting conditions," he said. "But it's getting complicated for them because I was covering preexisting conditions before Obamacare even came around." "I guess they didn't catch that in their opposition research," he said with a smile. Braun says he'll win the race by highlighting Donnelly's record since the people elected him—a record he says is one of inaction rather than leadership. "Hoosiers can't go wrong sending somebody else in place of the least effective senator," said Braun, referencing a study by professors at University of Virginia and Vanderbilt University. "We're just going to emphasize how wrong his record has been on important stuff, and that he takes his marching orders from the party," he said. "It's the difference between being a follower and a leader. My record in the private sector and the state legislature has been one of doing things—leadership, sticking your neck out and taking a risk." "I'm not going to the Senate to hang back and nestle in, but to talk about how to fix the cost of health care, fix our infrastructure, and how to reign in our federal deficit." Braun is confident that his message will prevail—now that his campaign has the same amount of resources in the bank as Donnelly. "We're going to win, and Joe's going to have to go into the real world to try and make a living outside of government." This entry was posted in Politics and tagged 2018 Election, India, Joe Donnelly. Bookmark the permalink.